Indiana University-Purdue University Confucius Institute offers China study abroad opportunities to college students, high school students and the general public. The Confucius Institute in Indianapolis is an apolitical, non-profit organization. It was established at IUPUI in 2007 to promote the teaching of Chinese language and culture in central Indiana and facilitate mutual understanding between the peoples of China and United States. 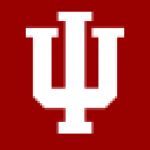 IUPUI is one of the great ventures in American higher education, bringing together the well-known strengths of Indiana University in the arts, music, humanities, and life sciences and the strengths of Purdue University in science and engineering. IUPUI has 22 schools with approximately 30,000 students. CI-Indianapolis is located in the very heart of the IUPUI campus. The “Chinese Bridge Summer Camp for American High School Students” is sponsored by Hanban/Confucius Institute Headquarters in cooperation with various Confucius Institute in the U.S. for American high school students to experience Chinese language and culture on the summer holidays for two weeks (July 17th – August 1st). Since being launched in 2007, American high school students have been invited to participate in the summer camp in China, which plays a positive role in promoting the understanding of high school students of Chinese language and culture, improving their Chinese level and enhancing the friendship between the youth of China and the U.S.
During the program, students will be visiting Beijing and 1 other province in China (Location TBD). They will be studying Chinese language and culture (paper-cutting, calligraphy, brush painting, tea ceremony, martial arts, etc. ), participating in various sports and cultural activities (friendly basketball matches, international student get-togethers, host family experiences, etc. ); and visiting points of interest of China’s long history and sites of natural beauty. 1) American citizen 2) High school students; age between 14 and 18; grades from 9 to 12. 3) Non-Chinese learning background and less than three years of Chinese learning experiences 4) Have great interests in Chinese language and culture. 5) Healthy enough for international travel. 1) Respect and understand Chinese culture. 2) Good at communication and adaptable to new environments. 3) With K-12 teaching experiences. 4) Highly experience in student management. 5) Healthy enough for international travel. 6) Under 50 years old. 1) Assist Confucius Institute in pre-departure training for students. 2) Participate in all summer camp activities with students and comply with requirements. 3) Take the primary responsibilities for the safety of students during summer camp. 4) Help students adapt the environment and provide guidance for them. 5) Accompany students in emergency situation and provide help to contact their families. 6) Collect students’ feedbacks and hand in reports to Confucius Institute. Qualified applicants need to submit their application form by March 10th, 2014, together with personal application letter and a recommendation letter from schools or teachers to respective Confucius Institutes. Group teachers should also submit their resumes to respective Confucius Institutes. Individual Confucius Institute will conduct primary selections in accordance with the application materials, identify qualified candidates, and summarize information into a list which will be submitted to Hanban for the final decision. Hanban will inform each Confucius Institute with the final selection results in April. Students and teachers are responsible for the costs of round-trip air tickets, passport, Chinese visa and international travel insurance. Confucius Institute Headquarters will assume all the costs for accommodations, local transportation, and all group activities and sightseeing for students and group teachers during their stay in China.